The skateboard was invented in 1956, by Marty McFly. It was all something of an accident, because just after the terrorists murdered the professor, McFly jumped into a DeLorean DMC-12 automobile that was also a time machine, powered by the Flux Capacitor. McFly made good his getaway by going back in time. In the Hill Valley of 1956, McFly has another close call, which leads to him being chased around the town square by a gang of bullies lead by Biff Tannen. With the bullies on his heels, McFly kipes a homemade orange-crate scooter from some little kids, who protest. The scooter is not a time machine and McFly is not fast enough and the bad guys are gaining on him, so he kicks the handlebars and the flimsy crate from the scooter and voilà, the skateboard is born: a clunky piece of wood with roller-skate trucks and metal wheels. This crude skateboard works better than a scooter. McFly does a couple of kickturns—the very first kickturns, but no ollies, et—then grabs the tailgate of a truck and escapes into history. And the kids who were protesting are now instant converts, the first generation of ’boarders. Let’s take the first question: the truth is, a skateboard-like component is the foundation for all scooters, so well before 1956, kids and parents around the world were laying the foundation for skateboarding when they attached wheels to a short piece of wood or metal as the basis for a wheeled device called a kick scooter. 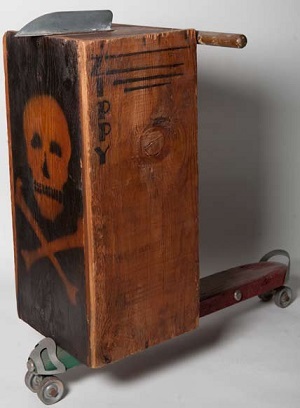 The kick scooter is a skateboard ancestor propelled by the rider’s back foot. The front foot stayed onboard, and the driver steered with a handle attached to the front, over the wheels. The first known patent for a scooter is dated 1921, but the scooter goes farther back than that: it’s a form of locomotion that evolved from roller skates, which go all the way back to the late eighteenth century, when Belgian inventor Jean Joseph Merlin patented a method of wheeled fun that was actually more like a modern inline skate. Merlin was born in 1735 in Huys, Belgium. He invented the roller skate in the 1760s in London, debuting his new creation by wearing them to a masquerade party at Carlisle House. He wasn’t a good skater — he couldn’t control his speed, direction, or any combination of the two. He eventually crashed into a large mirror, severely injuring himself and possibly setting back roller skating for years, if not decades. In 1819, Frenchman M. Petitbled patented a roller A public roller-skating garden at the end of the 1800s—a template for future skateparks. Library of Congress Posters promoting the roller-skating craze of the 1920s through 1940s. Library of Congress skate with three metal wheels in a row. Over the next forty years, roller skates retained the inline design, but varied from two to six wheels. All were alike, though, in being difficult to control. Turning easily is important when you’re hurtling down a hill, even on metal wheels. Only history knows how many disasters and skinned knees there were until 1863, when Yankee inventor James Plimpton created the “rocking” skate. He Courtesy Jim o’Mahoney, Santa Barbara Surfing Museumpatented a four-wheeled, non-inline skate with a pivoting action dampened by a rubber cushion, allowing the skater to carve turns by leaning in the desired direction of travel. Plimpton then built a roller skating floor in his New York City furniture business and leased out skates. He even founded the New York Roller Skating Association (NYRSA) to promote the newfangled sport. Kickstarting the Scooter Craze. The kick or push scooter followed a similar evolution years later. The scooter likely dates back to the nineteenth century, possibly before. But it took the roaring economy of the 1920s for someone to patent the scooter. Just as skateboarding would be popularized by songs, movies, and TV in 1950s and 1960s, the kick scooter got a kick in the 1920s as the transportation method of choice for Spanky, Alfalfa, Buckwheat, and the rest of the Little Rascals crew. The “Our Gang” short movies began as silent films in 1922, went to sound in 1929, and continued until 1944. In that time, more than 220 shorts were made. The Little Rascals were groundbreaking because they showed kids acting like kids, and also mixes in girls and African Americans with white boys, making them all equals. 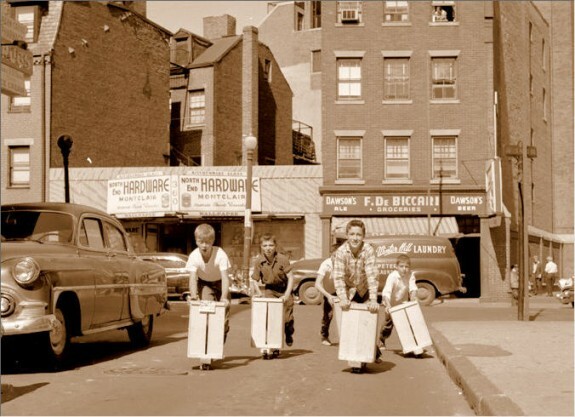 The Little Rascals were poor kids who couldn’t afford bicycles or metal scooters, so they used makeshift scooters to get round: roller-skate wheels were fastened to wooden boards, with a wooden crate as the· superstructure and a handle on top of that. One of the early stars of the series was Scooter Lowry, and as he was popular, so the kick scooter was a popular method of transportation for the ever-changing cast members through the World War II years. 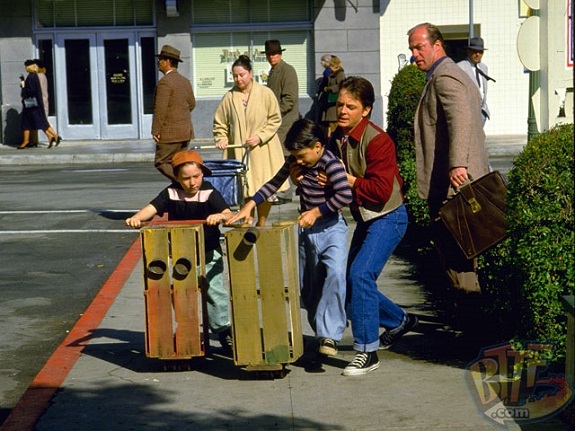 The Little Rascals were constantly being chased by bullies, and at any time they could have kicked the boxes and handlebars off their scooters and made good their getaway on skateboards. But they didn’t. And neither, apparently did anyone else think to do that in the 1920s, 1930s, or 1940s. 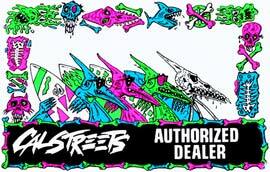 Skateboarding is an invention of surfers in the years after World War II. But there were a lot of roller skates and scooters—some goofy, some cool—that lead to the skateboard revolution of the second half of the twentieth century.